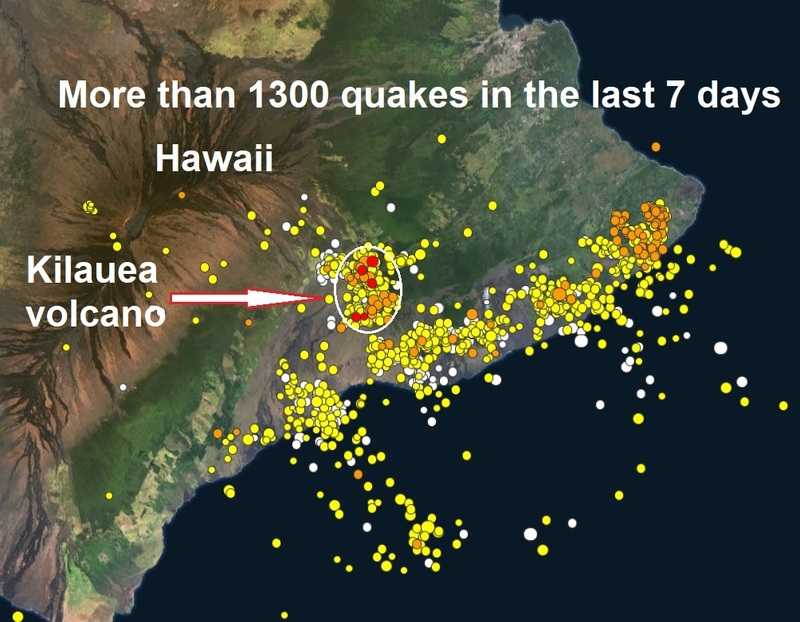 With almost 400 quakes in the last three days and more than 1300 in the last week the Kilauea volcano continues to be shaken and it doesn't look like stopping anytime soon and the eruptions at Kilauea's summit crater could trigger explosions so violent they could fling 10-ton boulders as far as a half mile away and send ash columns miles into the sky, scientists are warning. Officials are warning that massive boulders could come raining down from the sky near the crater, and they're asking people to be prepared. Reuters reports, as a lava lake at Kilauea’s summit drains inside the volcano, magma is running underground. 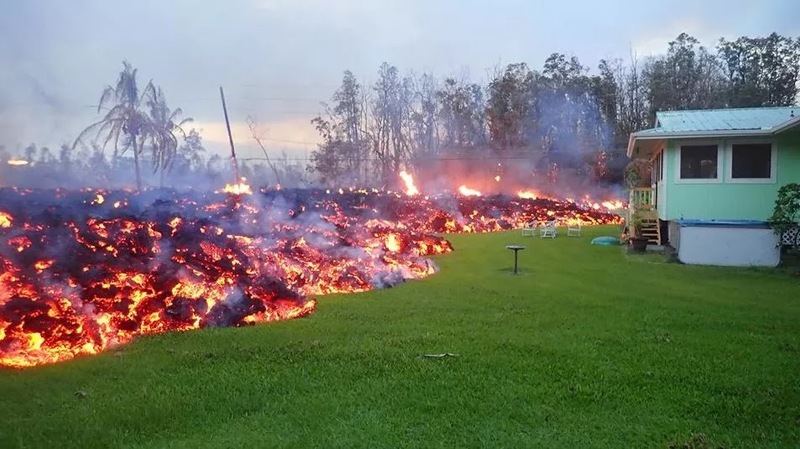 It could burst to the surface as large, fast-moving and intensely hot lava flows and produce higher levels of toxic gases, Hawaiian Volcano Observatory scientist-in-charge Tina Neal said. “What will take a turn for the worse in terms of hazard is if hotter, fresher magma makes it to the surface, and that could be what is coming,” Neal told a conference call. Fifteen large cracks or fissures have opened on the eastern flank of Kilauea since the volcano erupted eight days ago. The volcanic vents have oozed relatively cool, sluggish magma left over from a similar event in 1955. Photo credit (IMAGE: GREG CHUNN) Fresher magma could now emerge behind it. Hawaii News Now reports, Hawaii County Civil Defense officials have urged residents in lower Puna to remain vigilant amid ongoing volcanic activity and hazardous emissions — and to be prepared to evacuate on short notice. There are now 15 active lava fissures in Puna. After the eruption, residents fled with little — and don't know what they return home to. She added that there are growing fears that "hotter, fresher" magma could be making its way downslope. Eruptions of fresher lava would increase the risk of fountains and more significant flows, she said.